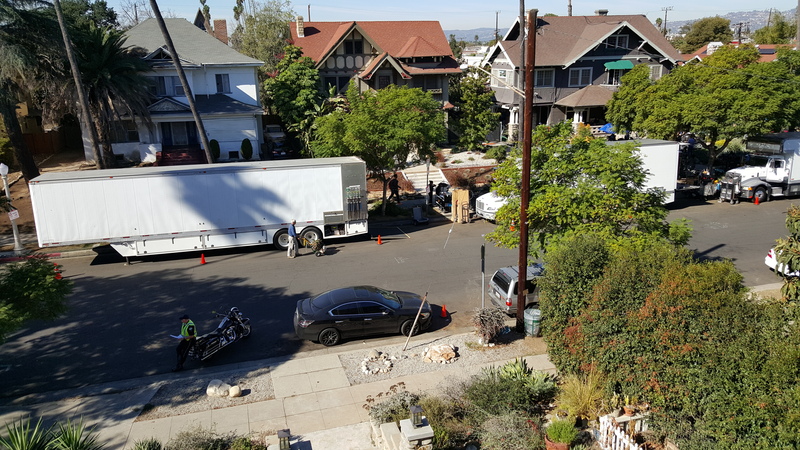 Filming Excitement in the Neighborhood! It was thrilling to have a part of Ava DuVernay’s upcoming Disney film, “A Wrinkle in Time” shot on our local block of Oxford Avenue. 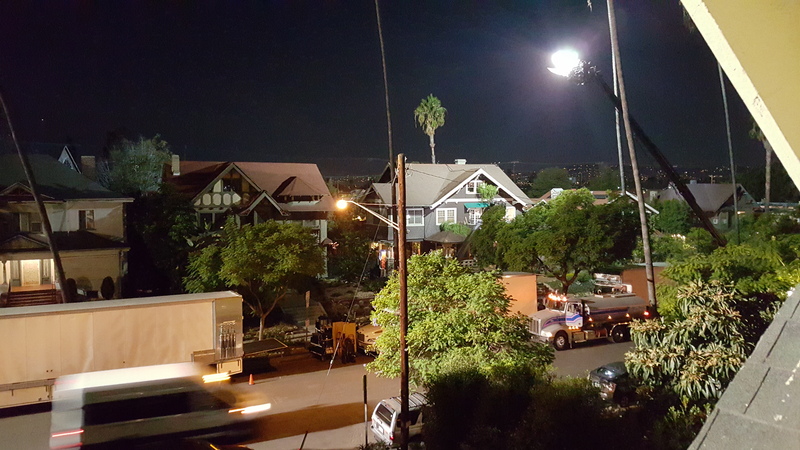 Shooting happened both in the daytime and at night, complete with a simulated rain storm pouring water over the house being used as a set. We were treated to man-made lightening flashes! This entry was posted in Events, Filming, News. Bookmark the permalink.